Since 2010, CHINOOK SCAFFOLD SYSTEMS TRAINING has been providing quality comprehensive fall protection and scaffold training. All of our materials are referenced on the most up to date regulations, standards and accepted industry best practices. Scaffold is a temporary, elevated work platform used to protect workers, transport building materials and tools safely during the construction, repair, maintenance or cleaning process. Scaffold is commonly used to safely reach elevated structures during the construction process that would otherwise be difficult to get to. There are many different kinds and applications of scaffold used depending on project requirements. 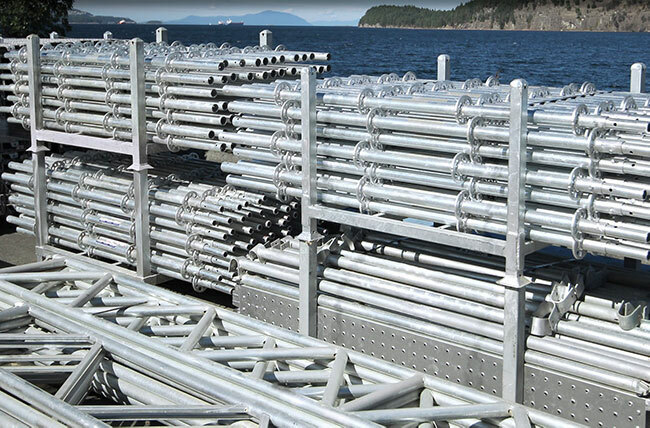 Chinook Scaffold Systems Ltd. specializes in providing custom scaffold solutions to the following sectors: oil, gas and smelters, mining, dams, pulp and paper mills. We also provide mast climbers to perform regular maintenance or repairs on buildings. While our focus is large-scale projects, we do everything from small residential jobs to multi-year projects.